OSAKA, Japan, Oct. 23, 2017 – Panasonic Corporation today announced that it has acquired Arimo Inc., a Mountain View, California-based leader in deep learning and behavioral artificial intelligence (AI). Ranked among the ten most innovative companies in data science by Fast Company Magazine in 2016, Arimo is developing IoT-centric AI products for commercial and manufacturing applications, which are associated with Big Data and Deep Learning. 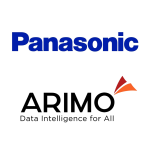 Through this acquisition, Panasonic plans to leverage Arimo’s data science expertise in solutions it provides to its B2B customers (including manufacturers) as well as in the housing business. Osaka, Japan – Panasonic‘s lithium primary batteries have been mounted in the asteroid explorer “Hayabusa2“* launched on December 3, 2014. Three models of graphite fluoride (BR series**) cylindrical-type lithium primary batteries (BR-A, BR-1/2AA, and BR-C) with an extensive shelf life have been mounted this time. The same type of batteries had also previously been mounted in “Hayabusa,” which returned to Earth in 2010. Tokyo (AFP) – When Japan announced it was ready to supply a new drug to help combat the deadly Ebola virus, one unusual detail emerged — it would be made by Fujifilm. In recognition of the successful establishment of its indoor agriculture facility last October, Panasonic Factory Solutions Asia Pacific (PFSAP) won the “Food Manufacturing Solutions” accolade at the Inaugural International Business Awards 2014 organised by Singapore Business Review. Tokyo, July 31, 2014 — Innovation Network Corporation of Japan (“INCJ”), Japan Display Inc. (“JDI”), Sony Corporation (“Sony”), and Panasonic Corporation (“Panasonic”) announced today that they have executed a definitive agreement to establish a new company, JOLED Inc. (“JOLED”), to integrate Sony and Panasonic’s R&D functions for organic light-emitting diode (“OLED”) display panels. Toyota City / Osaka, Japan, June 9, 2014 – Toyota Motor Corporation and Panasonic Corporation are jointly developing a service that links cars with home appliances. A new service will be launched as soon as the second half of this year. Japanese electronics manufacturers are trying to overcome sluggish domestic sales by introducing smartphones with unique features abroad.